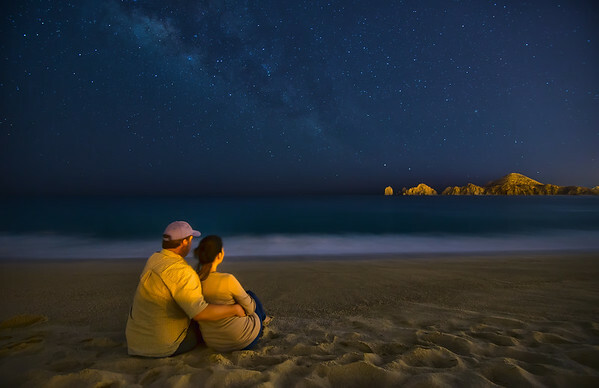 This is my wife and I checking out the stars at 2:00am on the beach in front of our hotel in Cabo San Lucas. 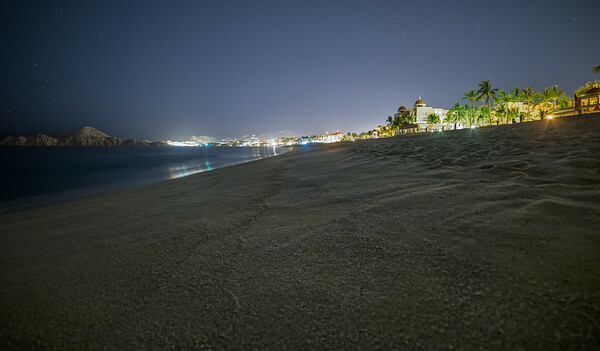 We decided to take a night off from the hotel bar to spend some time on the beach relaxing and taking photos. 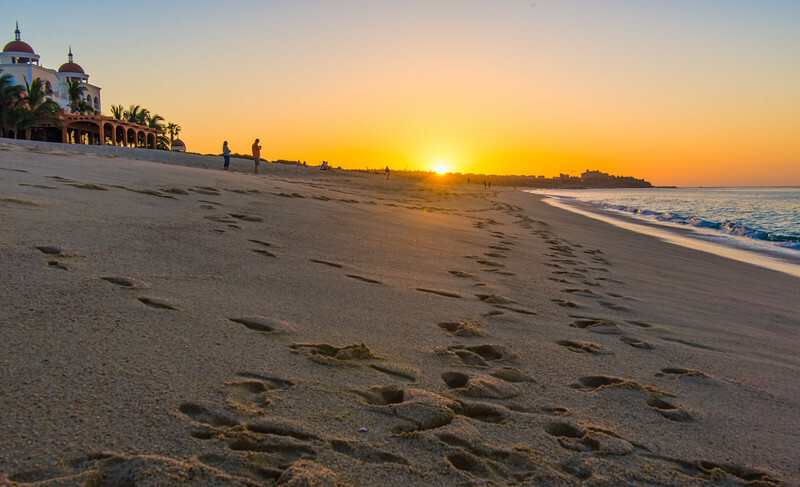 This one turned out to be my favorite photo from the trip. Normally when taking star photos anything in the picture turns into a silhouette because it is pitch black out. 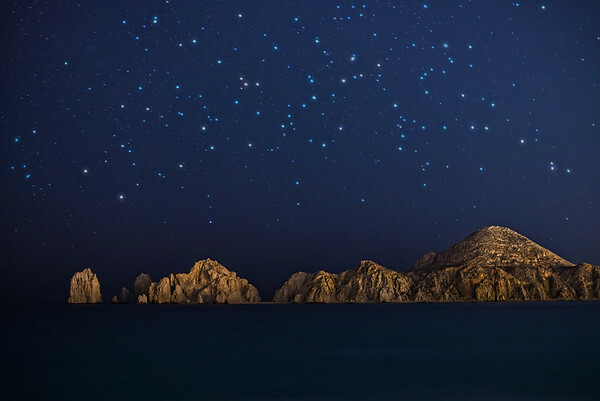 However, these rocks in the picture are being lit by the lights of the city behind me so you can make out both the rocks and the stars clearly for a cool photo. 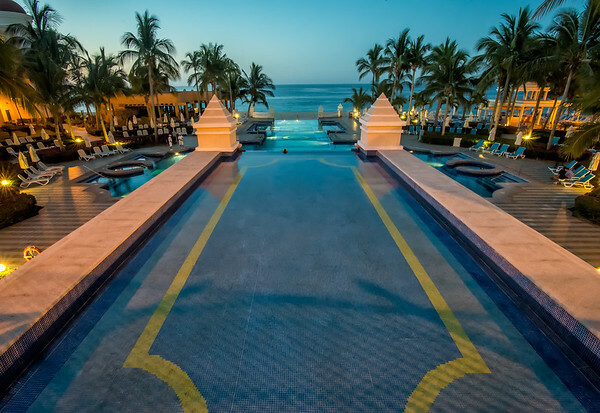 Swimming pool from the resort I stayed at on my trip to Mexico. 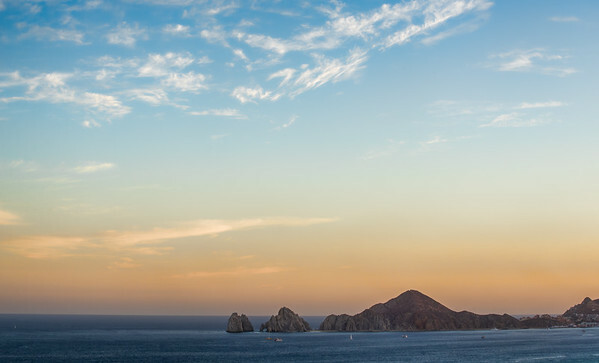 In the center of the rock you can see the famous El Arco in Cabo San Lucas. I took this photo from a restaurant with a great view. 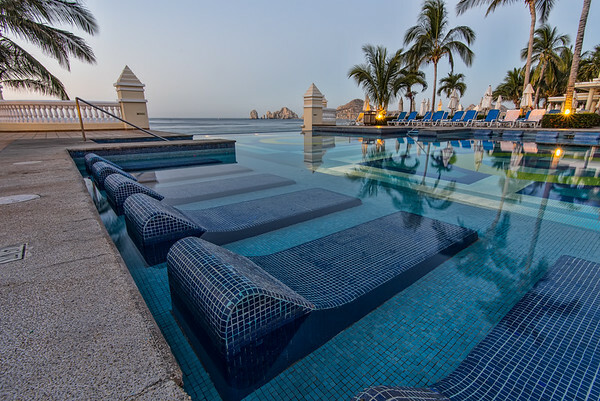 This is the swimming pool at the resort we stayed at in Cabo San Lucas, not a bad place to relax on a hot day. 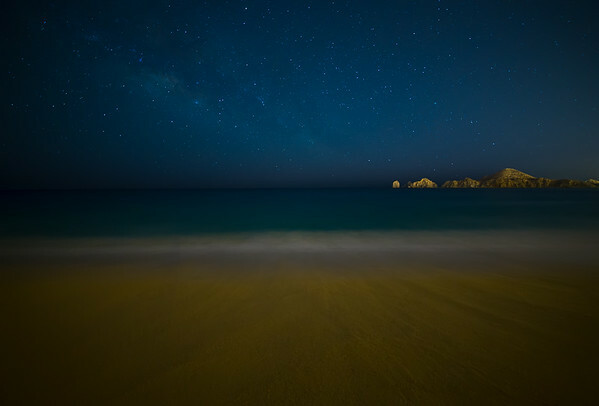 In this photo the city lights are what gives the rocks their color, which gives a cool look. 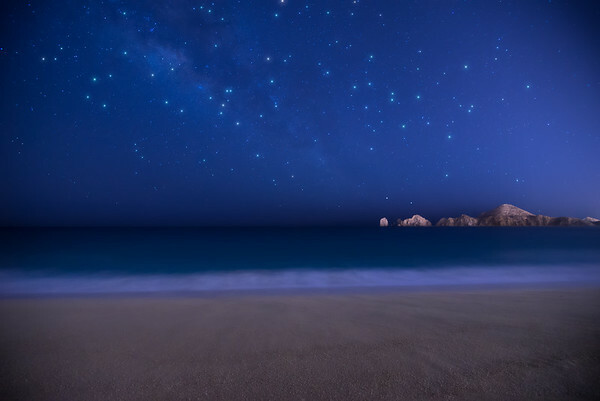 Unfortunately, the city lights also drowned out the milky way but you can still make it out to the left of the rocks.